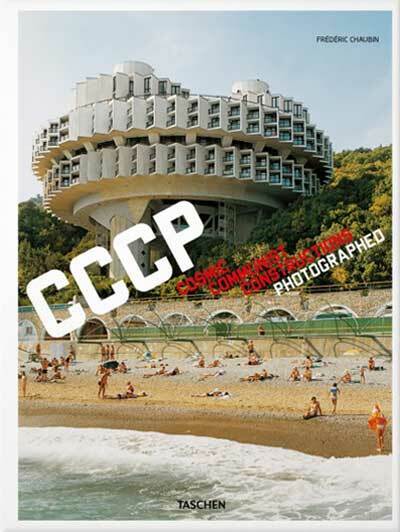 Photographer Frédéric Chaubin reveals 90 buildings sited in fourteen former Soviet Republics which express what he considers to be the fourth age of Soviet architecture. His poetic pictures reveal an unexpected rebirth of imagination, an unknown burgeoning that took place from 1970 until 1990. Contrary to the 1920s and 1950s, no “school” or main trend emerges here. These buildings represent a chaotic impulse brought about by a decaying system. Their diversity announced the end of the Soviet Union. Taking advantage of the collapsing monolithic structure, the holes in the widening net, architects went far beyond modernism, going back to the roots or freely innovating. Some of the daring ones completed projects that the Constructivists would have dreamt of (Druzhba Sanatorium, Yalta), others expressed their imagination in an expressionist way (Palace of Weddings, Tbilisi). A summer camp, inspired by sketches of a prototype lunar base, lays claim to Suprematist influence (Prometheus youth camp, Bogatyr). Then comes the “speaking architecture” widespread in the last years of the USSR: a crematorium adorned with concrete flames (Crematorium, Kiev), a technological institute with a flying saucer crashed on the roof (Institute of Scientific Research, Kiev), a political center watching you like Big Brother (House of Soviets, Kaliningrad). This puzzle of styles testifies to all the ideological dreams of the period, from the obsession with the cosmos to the rebirth of identity. It also outlines the geography of the USSR, showing how local influences made their exotic twists before the country was brought to its end. cm 26×34; pp. 312; paperback. Publisher: Taschen, Köln, 2011. Request info for "Frédéric Chaubin, CCCP. 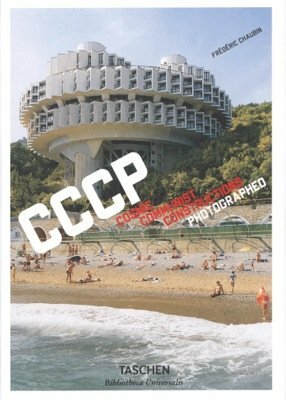 Cosmic Communist Constructions Photographed"